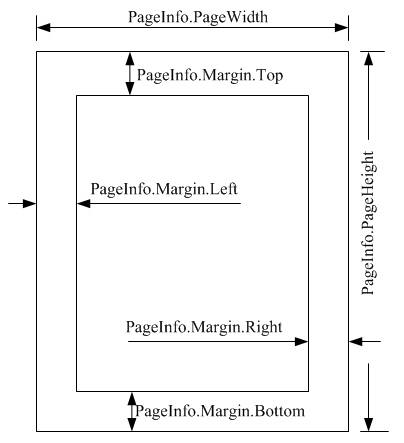 Definitions of Page Margin: The white space at the top, bottom, and sides of a document when a document is printed. 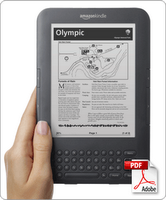 However, if your PDF file contains lots of margins, the reading experience will become bad, NOW, you can use our PDF Margin Crop to remove the margins from your PDF file, this will enhance the reading experience on your ebook reading Devices. 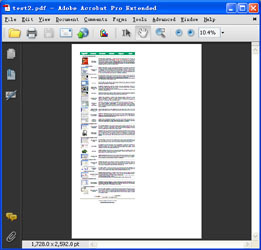 VeryDOC PDF Margin Crop is a Windows application that lets you crop the white margins from PDF pages. PDF Margin Crop is using Image Recognition Arithmetic (Image Understanding Technology) to determine margins and crop margins automatically, you needn't set margins by manual, and this will save lots of your time on crop box editing. 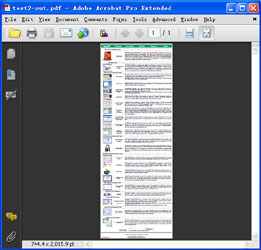 PDF Margin Crop is a stand-alone application, it doesn't require Adobe Reader and Adobe Acrobat products installed in your system. 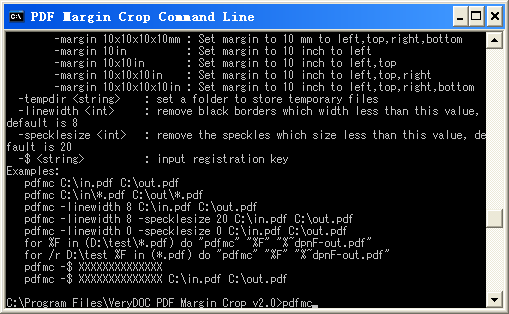 VeryDOC PDF Margin Crop does support command line operation, you can access PDF Margin Crop Command Line via any programming or scripting languages, such as Visual Basic, C/C++, Delphi, ASP, PHP, C#, .NET, etc. Using Command Line operation, file conversions can be done consecutively or simultaneously.